Bamboo is not just for pandas! Grass Sticks are ski poles crafted out of bamboo. They are super lightweight yet super strong, plus they look really awesome! The folks at Grass Sticks describe bamboo as having the tensile strength of steel and a compressive strength greater than concrete, and they back up their poles with a 2 year unlimited warranty. This eco-friendly material is hand sanded and finished with a UV/moisture/cold proof clear coat. 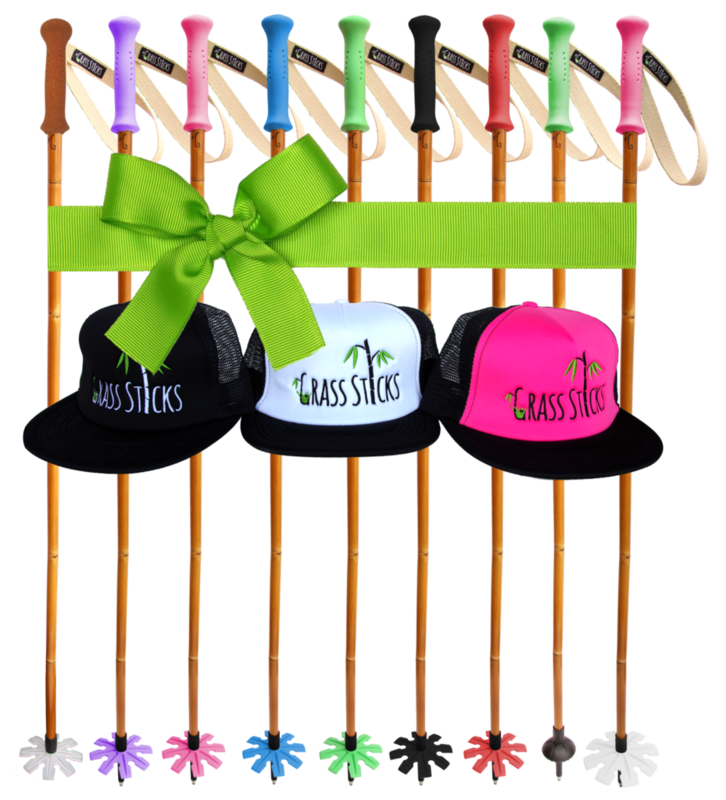 You can customize your poles with or without straps as well as choose the color and size of the interchangeable basket. For a pair of poles that will last through the season and beyond, check out Grass Sticks.